Based on the survey data, 73% of people lose trust in brands with inaccurate business listings. Establish highly accurate listings and appear in more places across the web. 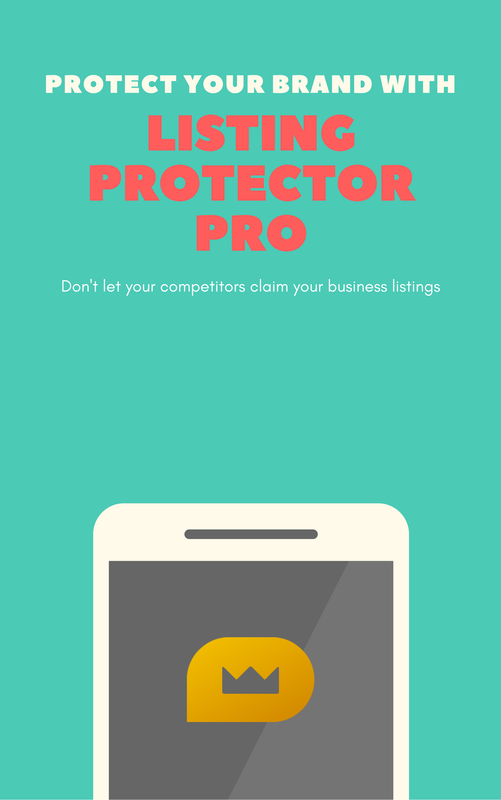 Packed with powerful presence management tools, including 100% listing protection, Business Listing Protector PRO is the most comprehensive business listing solution in Canada. In this blog post, our co-founder, Anastasia Fishbein has explained the importance of your online business listings management. Since virtually anyone could claim and modify your business listings, timely attention and ongoing management are key. Online business listings are your new digital phone book. Your sales directly depend on people's ability to find and contact your business. Our goal is to make sure that your business has the right tools to protect your online reputation starting with your online business listings, leaving nothing to chance. How will you protect my Business listings? As soon as you become a client, your listings will be claimed on your behalf whereby you will have complete access to the web portal to make changes as required. Your listings will always belong to you, and we will make sure that it's not modified by third-parties. How fast will my business listing sync across multiple business directories? ​Since we will be synchronizing your business listing with over 40 listing sites, it will take up to 30-days to complete synchronization. ​Can I make changes to my listing? Yes. After the listings are fully synchronized, you will be able to make the changes using an easy to use web portal, or submit a request, and we will make the changes on your behalf at no extra charge. ​What kind of business information can I synchronize? You will be able to sync your contact information generally included in online directories and referred to as NAP (name, address and phone number). It may also include your contact email and company's website. We will automatically synchronize your complete information between major social networks as a standard feature. What's the difference between a listing and a citation? Online business listings generally include a complete NAP+W (Name, Address, Phone number and a Website) information about your business, while online citations may only include partial information about the business.